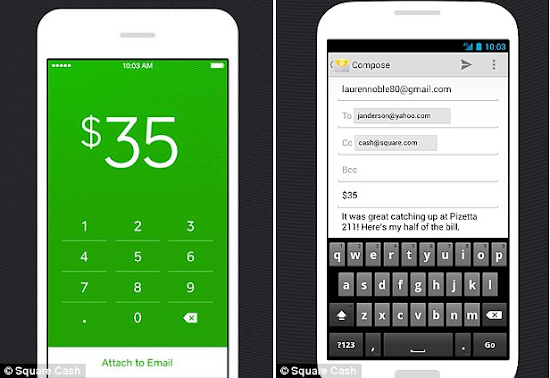 There are also Square Cash apps available for iOS devices, left, and Android, right. Online payments company Square has launched a new service that lets users send cash by simply firing off an email. Square Cash, available now, is free to use and requires no sign-in process. 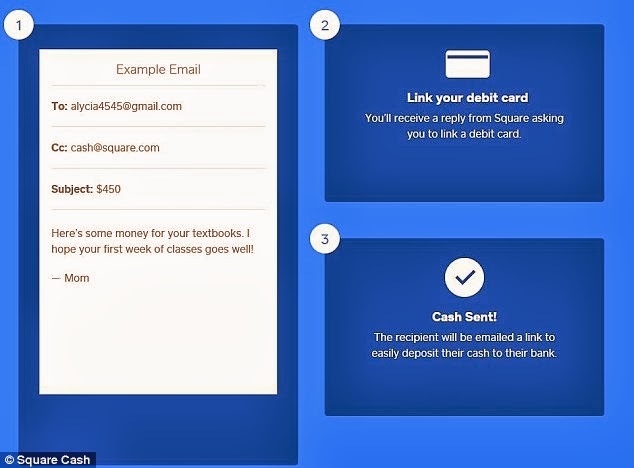 When a user wants to send cash to someone, they compose an email, copy a Square email address and include the dollar amount in the subject line. After the message is sent, Square will reply with a request to link a debit card to fund the payment. 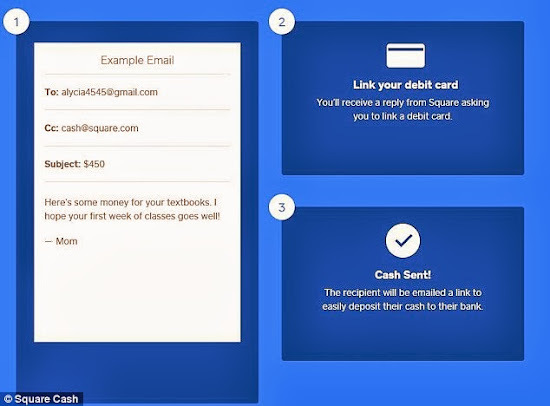 The recipient will receive a link from Square in their email to deposit the money into their bank account. The company says all financial information is handled on a secure connection. "Square Cash makes it convenient to send money to anyone—without making them jump through hoops to retrieve it," says Square's Brian Grassadonia in a statement. Square Cash is also available as an app for iOS and Android. The online payments business, especially for mobile devices, is booming. According to an eMarketer report in July, mobile payments in the U.S. are expected to top $1 billion this year, with 2017 figures surging to $58 billion.